I FP Chicago to host On-Tap: Fall Kick-off Party and fundraiser at 5:30 to 8:30 pm 17:30 20:30 on Monday, August 31, 2015 at Lagunitas Brewing Company, 2607 W. 17th St. Chicago, IL. Join us as we announce our fabulous new programs launching this fall, mix and mingle with other industry professionals, and help IFP Chicago continue its mission to support independent filmmaking. IFP will also screen work samples and teasers by their members. Tickets are $20 and include: live music by the Rob Ballantine Band, appetizers, raffle prizes, and entertainment. Cash bar. One drink ticket for IFP members. INDEPENDENT FILMMAKER PROJECT CHICAGO (IFP CHICAGO) is a non-profit organization committed to the idea that independent film is an important art form and powerful voice in our society. We provide information, community, education and professional development opportunities for independent filmmakers, industry professionals and independent film enthusiasts. We encourage quality and diversity in independent production and assist filmmakers at all levels of experience in realizing their unique vision. To find out about upcoming programs & events, or to sign up for the IFP Chicago newsletter visit www.ifpchicago.org. 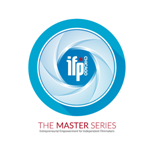 Find IFP Chicago on Facebook IFP-Chicago and Twitter @IFPCHICAGO.